Turn ordinary ceilings into mood changing scenic light windows. The new range of mood ceilings offers a practical and stunning lighting effect to brighten the gloomiest of days. Unlike other systems you may have seen, you can easily change the vision by selecting packs of high definition image tiles from our wide range of themes. 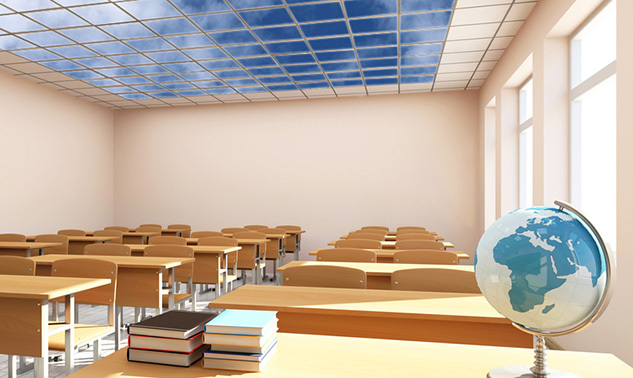 A scenic corridor or classroom ceiling is a great way to influence the mood of pupils on a daily basis. The easy change image system means your mood ceiling can be matched to support specific topics and inspire learning. The high quality light units ensure an effective, safe working environment and bring uninspiring ceilings to life. Mood Ceilings offers an eye catching collection of images to support education ranging from outer space to the deepest oceans. 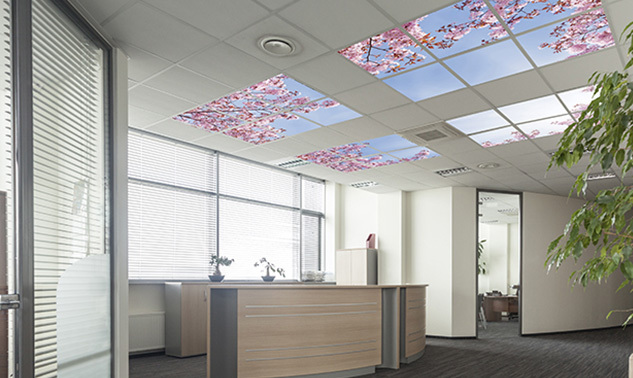 Replace unattractive utilitarian fluorescent light covers with a stunning mood ceiling for a positive working environment and memorable experience for your clients. The new range of mood ceilings offers a practical and stunning lighting effect to brighten the gloomiest of days. Unlike other systems you may have seen you can easily change the vision by selecting packs of high definition image tiles from our wide range of themes. Create an engaging, inspiring and productive environment for the benefit of everyone. 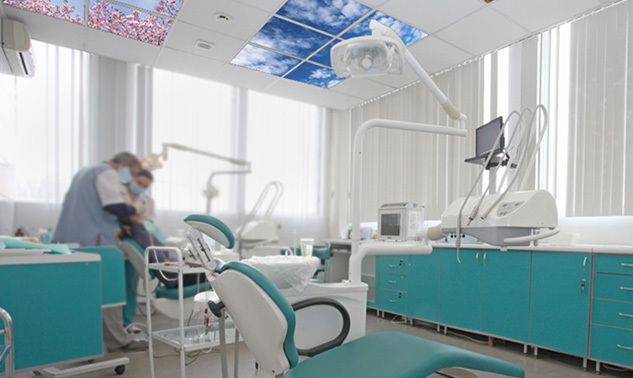 Medical environments can be intimidating and unsettling places for patients and visitors. Hard working staff can often feel trapped in institutional fortresses. Create a positive, patient friendly environment by adding mood ceilings to reception areas, corridors, waiting rooms and treatment rooms. Support staff wellbeing through relaxing staff room scenes. Mood Ceiling transforms boring enclosed interiors into more spacious feeling and memorable environments using HD quality light enhanced images. Choose from our wide range of high definition images, or alternatively we are happy to create bespoke mood ceiling packs using your own.